Provide comfort for the family of Ella Allen Prewitt with a meaningful gesture of sympathy. 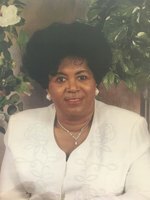 Rollins' Mortuary announces with deepest sympathy the passing of Mrs. Ella Mae Allen Prewitt, age 79, of Tuscaloosa, on Sunday, January 6, 2019, at Hospice of West Alabama. Funeral services were held Saturday, January 12, 2019, at 1pm at Greater Beard's Chapel AME Zion Church. Burial followed in Cedar Oak Memorial Park with Rollins' Mortuary directing. The Tuscaloosa Chapter of The Links, Inc. held a Memorial Ceremony.. Alpha Kappa Alpha Sorority, Inc. held the Ivy Beyond the Wall Ceremony. To send flowers in memory of Ella Mae Allen Prewitt, please visit our Heartfelt Sympathies Store. Provide comfort for the family of Ella Mae Allen Prewitt by sending flowers. Michael and family, our thoughts and prayers are with you during this difficult. " Weeping may endure for a night, but joy cometh in the morning. Sending my condolences to Michael and the extended family of Mrs. Prewitt. Wishing you peace to bring comfort, courage to face the days ahead and loving memories to forever hold in your heart.